So, this was an absolutely crazy weekend, and I have had no time to write, so this is going to be a really short email. We had a capilla abierta last Saturday in Concordia that went really well! For me, it was testimony builder of faith. It was a small branch where we did the activity, and there weren't a ton of members. As we went through the day, some of the missionaries started to get a little disheartened, wondering if we would have success or not. On top of that, there were multiple companionships that had to leave at midday because they had baptisms, including the zone leaders. As the official tours started at 4, there was nobody. We got to 5, and still nobody had come. It was easy to see that some people were starting to doubt. 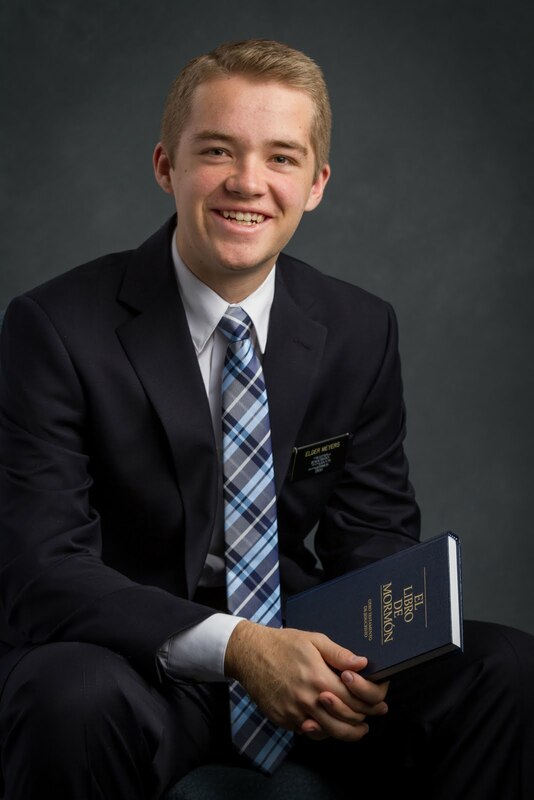 So I talked to Elder Dillon, and we decided we had to do something. We've never had a capilla abierta that wasn't successful, and I know that the Lord doesn't have us do these activities just to have nothing come of it. Normally, the two office elders who go stay in the capilla as kind of the tech/management people, making sure that the tours are running smoothly, the audio is working, the referrals are being recorded, etc. But we knew we had to do something, so we both grabbed a missionary and said, we're going out. We headed out to the streets and just started inviting people, whoever would take an invitation. I LOVE being in the streets! It's so much fun. We finally got somebody who agreed to come in with us for 1 minute, just to look. It was about that, and then he left, but that kind of broke the ice, and as all the missionaries started going out and exercising their faith, miracles began to happen, and people began to come. We even had a couple of entire families pass through! We ended up with 3 or 4 people with a baptismal date and at least 60 or 70 referrals. That is faith in action! When we have faith, and act on it, trusting that the Lord will bless us for our efforts, miracles can and will happen. The excuses that we had to not do anything were innumerable, as well as the reasons to doubt. But as we lay all of those aside, and trust in Him, we are blessed. Faith is real. Faith works. Exercise faith, and you will see blessings. I love this gospel! It is beautifully simple and powerful. Welcome lunch when Elder Campos came back to the mission!